The little ones were in bed last night, and missed our rainbow, so I decided to help them make their own rainbow tonight. That, and it ties in very nicely to the study of Isaac Newton, we're just starting, since he performed experiments involving prisms, in an effort to understand the nature of light, and color. 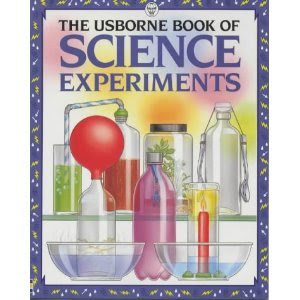 Our experiment was a very simple one, drawn from The Usborne Book of Science Experiments (our second try at an experiment from this book, but I'll tell you about our first experiment another time - Lord willing). We covered a flashlight in painters tape leaving only a slit, for light to shine through (the Usborne book suggests covering the flashlight with black construction paper, with a slit in it). Rainbows are so amazing. We did this experiment once; I should do it again. Cool. I hadn't seen that version before. I have to admit, sometimes I like to make rainbows with my wedding ring and have fun watching them on the dashboard. I am curious to know what you think about the book - I usually really enjoy Usborne books, but haven't tried their science readers yet. It looks like a cool experiment indeed.